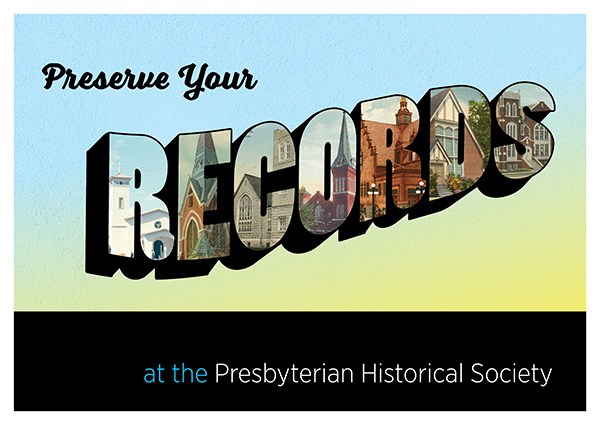 As the national archives of the Presbyterian Church (U.S.A.), the Presbyterian Historical Society collects records of historic value from congregations, mid councils, national agencies, individuals, and families. We support the record-keeping activities of all entities of the Church. Learn about our records digitization program  and discounts for church members . Learn about services and resources we provide to congregations. Learn about services and resources specific to presbyteries and synods. The Presbyterian Historical Society is the archives and records manager for national agencies of the PC(USA). As part of the Office of the General Assembly , the society assists the Stated Clerk in fulfilling his or her record-keeping responsibilities for all General Assembly entities. In this section, learn about the difference between permanent and temporary records, consult the General Records Retention Schedule, and find instructions for shipping your records to the society. Many of the historic documents in our holdings have been donated by individuals and families who lived the history in those records, or by their descendants. Learn about the types of materials we accept and how to donate historic materials to the society.